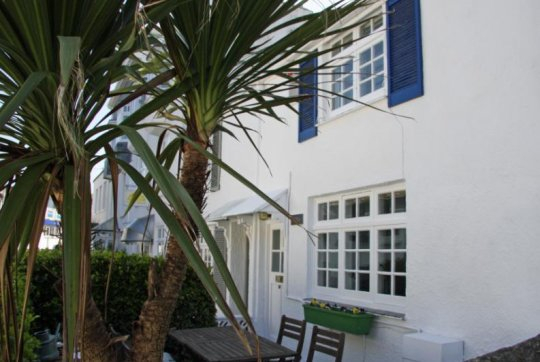 St Eia (from the original spelling of St Ives) is a former fisherman’s cottage, built in the 1800′s and situated at sea-level in the Warren, a quaint, narrow street in a conservation area and one of the oldest and most picturesque parts of St. Ives. The Warren lies mid-way between Porthminster Beach and St Ives harbour and is very close to the long stay railway station car park. 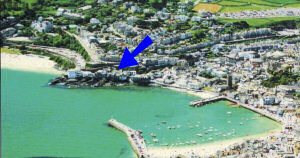 The award winning Porthminster Beach (blue flag for 2011) can be accessed via steps just 50 metres from the front of the house (tides permitting) whilst the main harbour area is just 250 metres gentle walk away in the other direction. Here you can lose yourself in the maze of quaint and cobbled streets, browse in the numerous galleries and amazingly varied shops and cafes or plan your evening meal in one of the top class seafood restaurants. The Tate Gallery is a gentle 8 minute level walk from St Eia; the beautiful Hepworth Sculpture Garden even nearer. With full central heating throughout, St Eia provides a wonderful holiday base from which to enjoy long, sunny days on the beach, crisp autumn coastal walks or the sparkling Christmas and New Year festivities. 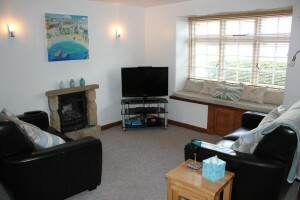 The house was renovated in 2009 to ensure very comfortable holiday accommodation in a fantastic location. 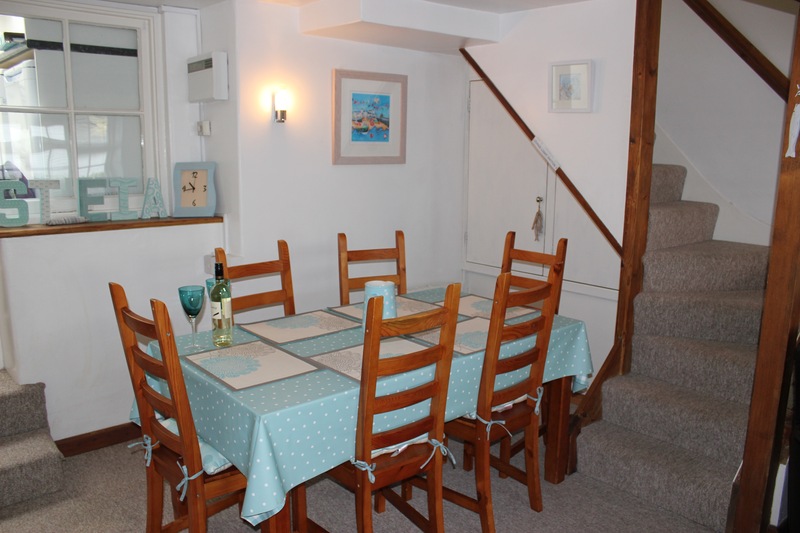 A sheltered patio area with garden furniture at the front of the property gets sun in the morning, whilst the sea view decking area at the back enjoys sunshine for most of the day during the summer months and has a wonderful view of the harbour and fishing boats. 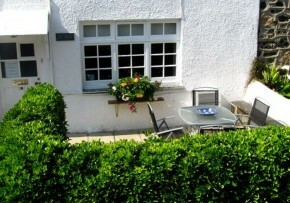 This back area is lovely for alfresco dining should you not wish to eat at one of the many lovely nearby restaurants. Inside the cottage, the open plan lounge/dining area has two leather sofas, 32” tv and dvd player, Nintendo Wii games console, portable iPod Speaker Dock and a large dining table seating six. The modern, galley kitchen, with ceramic hob, electric oven, fridge, separate freezer, washing machine, tumble dryer and dishwasher is accessed up five stairs from the dining area. 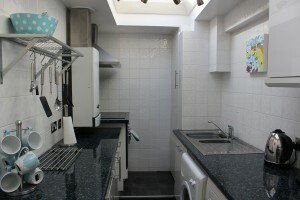 The bedrooms and bathroom are all on the first floor.